Parties, weddings, and special events are great fun, but for the person organising them feeding everyone can be a bit of a headache. For most people catering for a large group of guests is stressful, but it need not be. You just need to let the Hog Roast team take care of everything for you. We have decades of experience, so know how to look after you and your guests. Once you have ordered you can relax because we take care of everything catering related from there. Most people love a hog roast. Something about a large joint of succulent meat turning on a spit excites people. It really is a spectacular sight, and the smell is wonderful. 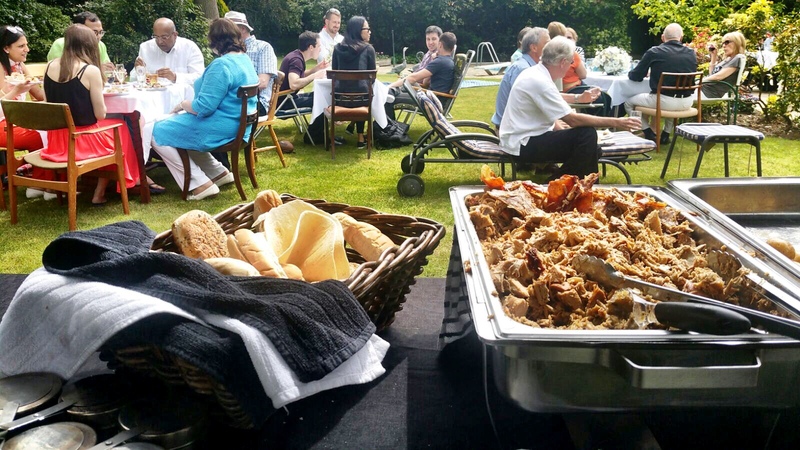 A hog roast feast plays a big part in creating the right ambience for a celebration, or a corporate event. It is great whether you choose to have it simply served in rolls, with applesauce and stuffing, or as part of a carvery, buffet or formal sit down hot meal. However, we do far more than just cook hog roasts we also offer an extensive menu of other dishes. You can choose from our range of meats, finger foods, salads, desserts, breads, side dishes, sauces and vegetarian foods. We offer plenty of choice, and are happy to adapt our menus to meet the dietary needs of your guests. Using us makes it easy to provide them with the type of food they like to eat. Our professional chefs insist on using high quality ingredients, which are locally sourced whenever possible. It’s easy to see why so many people are visiting Hull. You can explore the historic heart of the town and then immerse yourself in the culture by visiting some of the many museums and galleries such as the Maritime Museum or the Ferens gallery. Or why not take the whole family to visit The Deep- an award-winning aquarium. Whatever your reason for visiting Hull, make sure you take time to sample all the delicious food Hog Roast Hull has to offer. Just as the city of Hull has something for everyone so too does Hog roast Hull. 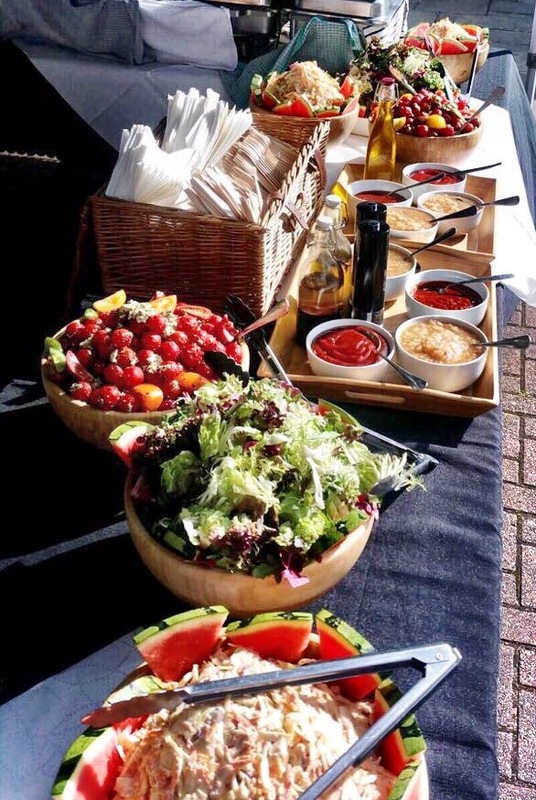 From our delicious hog roast sandwiches topped off with our home-made applesauce to a more formal sit-down meal with hog roast meat and slow roasted vegetable or a salad accompaniment – Hog Roast Hull can do it all. Over the years we have catered for so many events ranging from feeding ten guests up to one thousand! 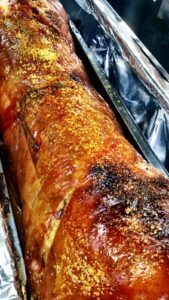 We offer, of course, hog roasts as the name suggest but can also cook any other kind of meat you may desire such as beef, lamb, chicken and even turkey for the festive period. Of course, we also have options for vegetarians and vegans and are able to take acre of any dietary requirements whether you are gluten free or need halal meat. Due to the diversity of our cooking style we can also cater anywhere at any tie. Whether than is indoors, as long as it is a well-ventilated area, or we can cater outdoors in a marquee or muddy field. Just let us take care of the catering and logistics and you can relax in the knowledge that your event will go off without a hitch! If you prefer there is also the option to cook your own hog roast. Using our state of the art hog roast machines it is easy to do. We lend you the machine and explain how to use it. If you want we can provide the hog, and best of all we take care of cleaning the hog roaster when you have finished with it. It really could not be easier to impress your guests with perfect food. You just need to fill out the request for a quote form, at which point we will check our availability. 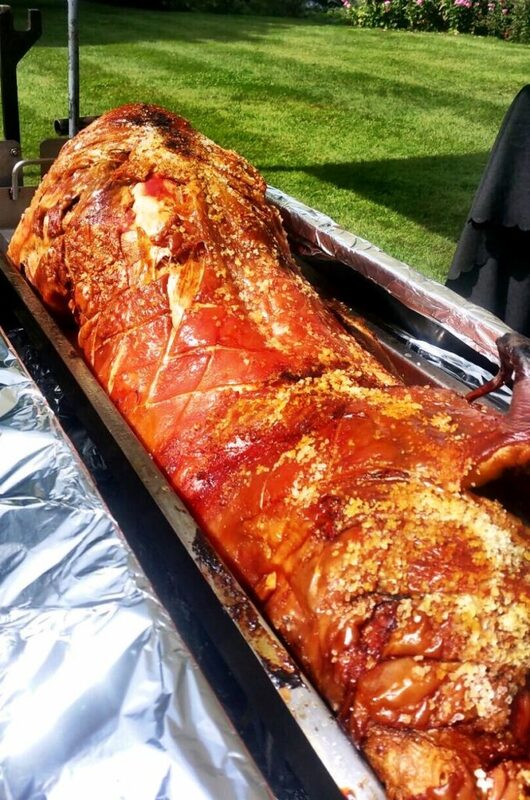 A member of the Hog Roast Hull team will then ring you straight back, to discuss the options, and give you an accurate quote. 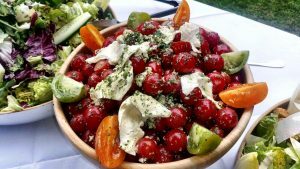 Our prices are competitive, so most people end up hiring us for their party catering.